This profile is based on a copy of Tittel’s microfilmed service record housed at the United States National Archives and Records Administration in Washington, D.C.
Parents: Hilmar and Johanna (née Hölterhoff) Tittel. Wife: Married Louisa Krauser (born 13 February 1891) on 11 March 1911 in Darmstadt – one son and two daughters. Following the death of his first wife, Hermann Tittel married Anneliese Cordes on 18 December 1944. 1895-1899: Attended Volksschule (Elementary School) in Coburg. 1899-1904: Attended Gymnasium (High School) in Coburg. 1904-1908: Attended Realgymnasium in Darmstadt; attained his certificate of graduation from that institution. 27 February 1908: Entered the Army as a Fahnenjunker in the Fußartillerie-Regiment General-Feldzeugmeister (Brandenburgisches) Nr.3. 3 October 1908-26 June 1909: Detached to the Anclam War School. 1 October 1912-15 July 1913: Detached to the Military Technical Academy. 1 October 1913-30 September 1915: Regimental Adjutant of Foot Artillery Regiment 3. 14 October 1914-18 November 1914: At the same time, detached as Adjutant of the Artillery Commander of the XXVI Reserve Corps (Staff of Foot Artillery Regiment 3). 30 September 1915: Adjutant of the General of Foot Artillery No. 4. 3 November 1916: Transferred to Foot Artillery Battery 114. 15 November 1916: Leader of Foot Artillery Battery 114. 1 March 1917: Transferred into the General Staff of the XXV Reserve Army Corps. 8 May 1917-11 May 1917: Detached to the Assault Course of Army Group “Archduke Joseph” (Generaloberst Archduke Joseph of Austria). 15 June 1917-30 June 1917: Detached as a Company Leader to Infantry Regiment 256 of the 218th Infantry Division. 10 August 1917: Transferred to a General Staff position in the Guard Replacement Division. 13 November 1917-17 November 1917: Detached to the Signals School in Namur. 30 November 1917-8 December 1917: Detached to a training course in Sedan. 13 December 1917-17 December 1917: Detached to the 6th Guard Infantry Regiment. 17 December 1917-22 December 1917: Detached to the Artillery Measuring School in Wahn. 10 January 1918: Detached for four weeks to the General Staff Course in Sedan. 27 February 1918: Transferred into the Army General Staff. 11 March 1918: Transferred to the Officer of the Army and allocated to the High Command of Army Group “Duke Albrecht of Württemberg” (Generalfeldmarschall Duke Albrecht of Württemberg). 17 March 1918: Detached to the Division Command for Special Employment 310. 17 April 1918: Allocated to the 4th Cavalry Division. 19 April 1918: Allocated to Group “Weiler” (General Command of the Bavarian XV Reserve Army Corps). 12 June 1918-22 June 1918: Detached to deputize as the 1st General Staff Officer of the 61st Landwehr Brigade. 7 October 1918: Detached as Quartermaster to Group “Heiligblasien” (VII Army Corps). 11 November 1918: Entered the General Command of the VII Army Corps as a General Staff Officer. 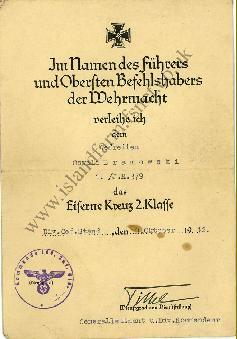 1 October 1923: Transferred to the staff of the III. Battalion of the 5th Artillery Regiment, Ludwigsburg. 24 April 1924-5 June 1924: Detached to the Firing Course for Artillery Officers in Jüterbog. 1 October 1924: Leader of the 7th Battery of the 5th Artillery Regiment, Ludwigsburg. 23 October 1924: Transferred to the staff of the 5th Artillery Regiment, Fulda. 1 April 1925: Chief of the 7th Battery of the 5th Artillery Regiment, Ludwigsburg. 5-25 March 1928: Detached to the Course for Physical Education in Wünsdorf. 1 May 1928: Transferred to the staff of Artillery Leader IV, Dresden. 1 October 1930: Detached to the Artillery School in Jüterbog. 1 February 1932: Transferred to the 4th Artillery Regiment, Dresden. 1 October 1933: Commander of the III. Battalion of the 1st (Prussian) Artillery Regiment, Allenstein. 15 October 1935: Commander of the Artillery Demonstration Regiment, Jüterbog. 1 April 1938: Artillery Commander (Arko) 16 – carried the Uniform of Artillery Regiment 11. 11 October 1941-22 June 1943: Commander of the 169th Infantry Division in Finland. 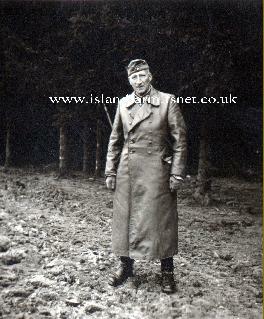 22 June 1943-1 September 1943: Delegated with the leadership of the LXX Army Corps in Norway. 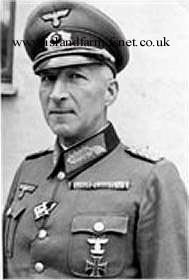 1 September 1943-9 May 1945: Commanding General of the LXX Army Corps in Norway. [Headquartered at Lillestrøm, east of Oslo, the LXX Army Corps served as a component of General der Gebirgstruppe Franz Böhme’s 20th Mountain Army and the primary German occupation force in southern Norway. At the time of the German surrender, Tittel’s corps controlled the following formations: the 280th Infantry Division (Generalleutnant Johann de Boer), the 274th Infantry Division (Generalleutnant Kurt Weckmann) and Division Nr. 613 (Generalmajor Adrian Freiherr van der Hoop). 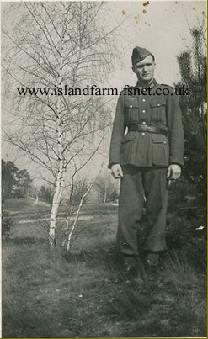 29 July 1946-17 May 1948: Prisoner of war in British captivity (transferred from the London Detention Center to Island Farm Special Camp 11 on 19 August 1946; transferred to Camp 186 on 12 May 1948 for repatriation). German Cross in Gold: 9 March 1945, General der Artillerie, Commanding General of the LXX Army Corps. Prussian Iron Cross, 1st Class (1914): 26 April 1916. Prussian Iron Cross, 2nd Class (1914): 27 October 1914. Württemberg Friedrich Order, Knight 2nd Class with Swords: 25 February 1915. Schwarzburg Honor Cross, 3rd Class with Swords: 7 April 1915. Cross of Honor for Combatants 1914-1918: 20 January 1935. Austrian Military Merit Cross, 3rd Class with War Decoration: 22 September 1917. Turkish War Medal (“Iron Crescent”): 18 November 1917. Bulgarian Bravery Order, 4th Class (1st Grade): February 1918. Royal Order of the Yugoslavian Crown, 3rd Class: 1 December 1938. Finnish Order of the Cross of Liberty, 1st Class with Swords: 7 May 1942. 22-23 August 1914: Battle of Neufchâteau. 24-29 August 1914: Battle on the Maas. 30 August 1914-5 September 1914: Breakthrough from the Maas to the Marne. 6-12 September 1914: Battle on the Marne. 13 September 1914-10 October 1914: Positional combat in Champagne. 29 October 1914-30 November 1914: Battle on the Yser. 1 December 1914-21 April 1915: Positional combat on the Yser. 22 April 1915-5 May 1915: Combat on the Ypern. 26 May 1915-3 November 1915: Positional combat on the Yser. 28 November 1915-28 February 1916: Positional combat between Lake Ochrida (Ohrid) and Dudica, a small town in the mountains west of Ljumnica and north of Nonte on the present-day border of Greece and Macedonia. 3 March 1916-11 June 1916: Positional combat in the “Waldkarpathen,” the eastern part of the Carpathian Mountains located approximately in present-day southwest Ukraine. 1-3 July 1917: Battle of Brzezany, Galicia. 3-21 July 1917: Positional combat between Narajowka and Zlota-Lipa, Galicia. 21-30 July 1917: Pursuit action in eastern Galicia. 31 July 1917-2 August 1917: Combat on the Zbrucz River, Galicia. 1-5 September 1917: Battle of Riga, Latvia. 7 October 1917-29 December 1917: Positional combat before Verdun. 26 January 1918-20 February 1918: Positional combat before Verdun. 14 March 1918-11 November 1918: Positional combat in Lorraine and in the Vosges. 12 November 1918-20 December 1918: Withdrawal from the occupied territories and the return home. Composed of Infantry Regiments 159, 193 and 263, Generalmajor Hermann Tittel’s 69th Infantry Division was one of six German divisions earmarked for the invasion of Norway in April 1940. The German Armed Forces High Command tasked the division with the initial occupation of the Norwegian coast from Nordfjord to Egersund. On 9 April 1940, the staff of the 69th Infantry Division and two battalions of Infantry Regiment 159 (Oberst Christoph Graf zu Stolberg-Stolberg) plus naval artillery troops totaling 1,900 officers and men were transported to Bergen by Konteradmiral Hubert Schmundt’s Warship Group 3 (the light cruisers Köln and Königsberg, the artillery school ship Bremse, the torpedo boats Leopard and Wolf, five motor torpedo boats or S-Boats, the S-Boat tender Carl Peters, and the armed trawlers Schiff 9 [ex-Alteland] and Schiff 18 [ex-Koblenz]). After arriving at Bergen, the Königsberg was hit by Norwegian shore batteries and suffered damage to her engines (the Bremse and Carl Peters also suffered damage in the same action). However, Bergen fell to the German landing troops later that day. On the following day, British Royal Navy Blackburn Skua fighter/dive-bombers attacked and sank the Königsberg in Bergen harbor with 500-pound bombs, scoring three hits and several near misses. This proved to be the first major warship ever sunk by air attack. On 9 April 1940, two battalions of Infantry Regiment 193 (Oberst Karl von Beeren) were flown by Luftwaffe transport aircraft to Stavanger after paratroopers of the 3rd Company of Fallschirmjäger-Regiment 1 seized Stavanger-Sola airfield. The regiment’s third battalion arrived by air the next day. On 15 April 1940, Infantry Regiment 193 began moving by sea and air transport to join Infantry Regiment 159 fighting at Bergen. Concurrently, Infantry Regiment 355 of Generalmajor Max Horn’s 214th Infantry Division assumed the occupation of Stavanger from Oberst von Beeren’s departing regiment. On 9 April 1940, Warship Group 6 (four minesweepers) led by Korvettenkapitän Kurt Thomas transported the 150-man divisional bicycle company to Egersund where the troops captured the communications cable station. On 12 April 1940, the regimental staff and the I. Battalion of Infantry Regiment 236 (Oberst Xaver Adloch) were transported by air to Olso after that city’s capture. Arriving by air the next day, the other two battalions joined the regiment at Oslo. Infantry Regiment 236 then fought as a battle group under Generalleutnant Erwin Engelbrecht’s 163rd Infantry Division in southern and central Norway.